After much googling and discussions with a local journo, my attempts at finding a plethora of Devonshire Teas in Adelaide City came up with slim pickings. After trudging up and down, in and out of arcades along Rundle Street Mall with no luck I decided to give the David Jones Food Hall a try. I can’t remember the last time I actually went to David Jones, let alone the Food Hall, but I am very surprised when I see the homemade looking scones. They are lovely – fresh, tasty and definitely homemade. Not particularly impressed with the portion controlled jams, which was totally insufficient (who has such small amounts of jam on their scones? ), nor the very lightly whipped cream. The cream is real but needs more work in the beating department. I overhear a ‘chef’ looking man ask the counter staff about them selling some scones – well, obviously, as I am sitting there. I ask him whether he baked them and complimented him but mentioned he had to make some changes to the jam and cream. He wasn’t particularly impressed and said he was only trialing them. By the sounds of things, they may or may not be there. Tea: A small selection of whole leaf tea bags served with a small pot of hot water. Overall: Your typical DJ’s Food Hall experience. Historic Glenelg is Adelaide’s answer to Sydney’s Manly Beach and England’s Brighton Beach; brash, busy and touristy, but a ‘must-see’. I’ve been here several times before but not for a Devonshire Tea. Not ideal, but I find Bracegirdle’s House of Fine Chocolate, which is popular for decadent chocolate desserts and rich hot chocolates. I am a little surprised to find scones on the menu. Plain or fruit, a serving is one sad sorry-looking scone that has seen better days, and is definitely not value for money. I try the plain and it’s dry and rubbery. The jam is okay and the cream thick, but to me, tasted like the Nestle one you get out of a can. Lesson learnt – do not order scones at a shop specialising in all manner of chocolate. Tea: A selection of loose-leaf teas in a good-sized pot. Overall: Pass on the scones but a good vantage point to people watch from the balcony. I watch with amusement as a group of young locals burst through the door with limbs colourfully painted with an assortment of designs. The quirkiness of ‘E’ for Ethel extends far beyond the retro decor and furnishings and to the cute, if expensive, gifts for sale. The outdoor seating area consists of furniture reminiscent of 1970s picnic chairs and sun lounges, and it’s a shame that it’s not in an open garden where you can catch the sun’s rays. The menu has a selection of simple favourites and I love the presentation of the Devonshire Tea on a couple of little trays. Both my companion and I receive little excerpts from the dictionary and ‘q’ seems to be the word of the day. The scones are a real let down however, as they are dry, burnt on top and crumbly with an unpleasant aftertaste. The thick double cream is from Tweedvale Diary in the Adelaide Hills and the strawberry jam, homemade by a local lady, is full of chunky pieces of fruit and a bit syrupy. If you’re looking for something a bit left field then a visit is in order, but check on the status of the scones! Tea: An interesting selection of loose-leaf teas. Hi thank you for all the wonderful and thorough information! 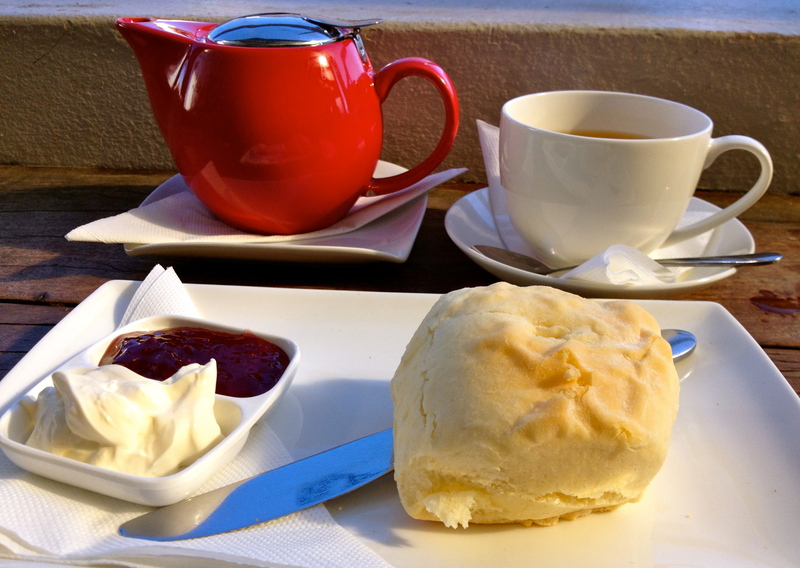 Next time you visit Adelaide be sure to try the D Tea at Kingston House in Kingston Park. Here’s the website check it out. Have you tried Cummins House at 23 Sheok ave Novar Gardens? No I haven’t! I just had a look and I have added it to my list for my next visit to Adelaide. I also have Kingston House earmarked. I had no idea about this place, as I love to explore historic homesteads. Many thanks James for the suggestion. 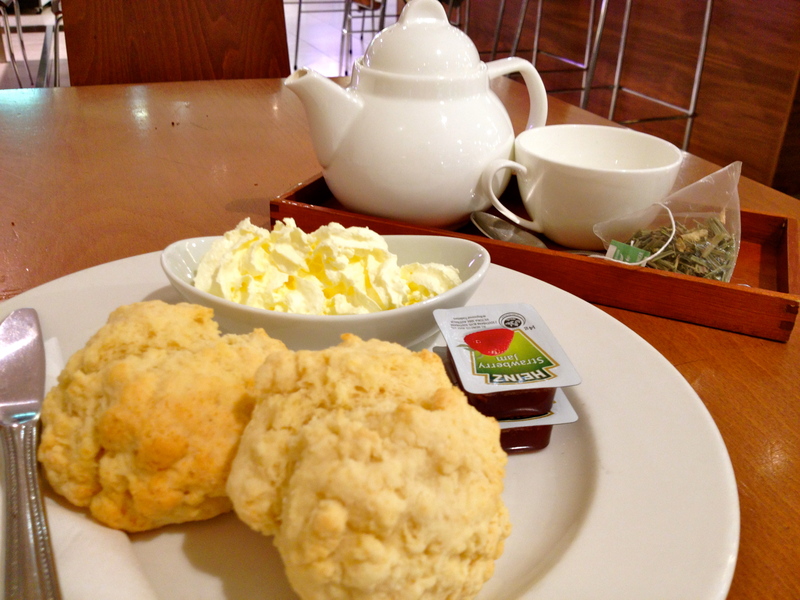 try Kingston house – great service, great value, yummy scones and all run on voluntary workers. well priced also. Thanks for the tip. It’s definitely on my list for my next visit to Adelaide. How much was it do you remember. It was a long time ago, but probably under $10. 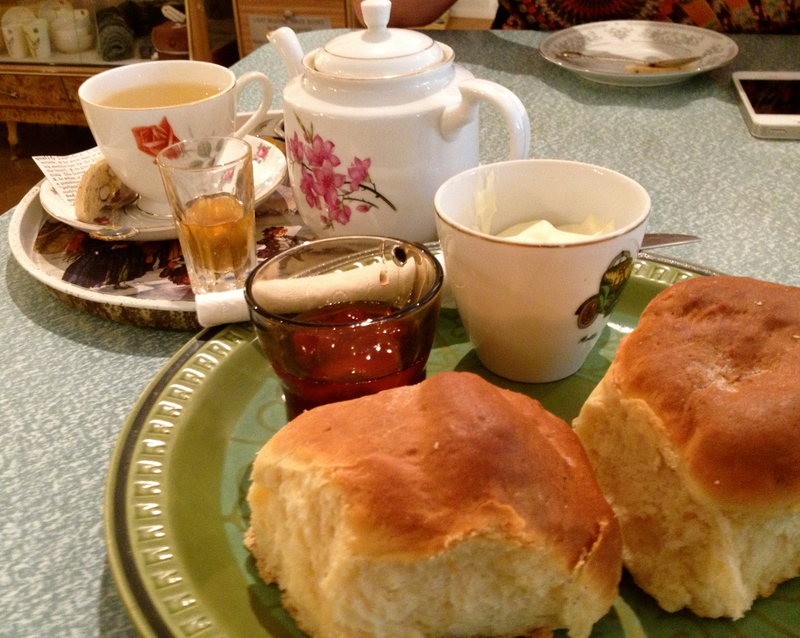 http://thetopiarycafe.com.au/ best scones in Adelaide, and a really delicious selection of jams. In a beautiful setting too. Good place to start for a day in the Adelaide Hills. Thanks for the recommendation! I’ll try them next time I’m in Adelaide.